Like one of my favourite Garman authors said: “…and then I went outside, to have a look how far we are with inscripting people”. 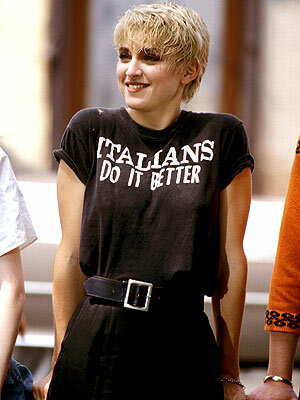 That story with Tim’s t-shirt was a (rather pubertal) comment to the Madonna-hype of 1986. Her T-shirt design ‘Italians Do It Better’ had made headline-news, however.